KARST is proud to present 'Assembled Spaces', a UK debut show by artists Tine Bay Lührssen, Nina Brauhauser and Ilka Helmig. Employing artistic strategies that aim to go beyond the spatial frame of a room, and where the possibilities of our perception are at stake, conscious and unconscious content become blurred, just as we might expect to find in the prominent field of the conceptual in contemporary art. Informed by Asger Jorn's theorem about the impossibility of producing an artwork that is not already alienated from the existing "real" or "normal" outside world, and which is positioned at the intersection between the physiology and psychology of perception, the three artists have developed a modification or expansion of discussion on the nature of art. 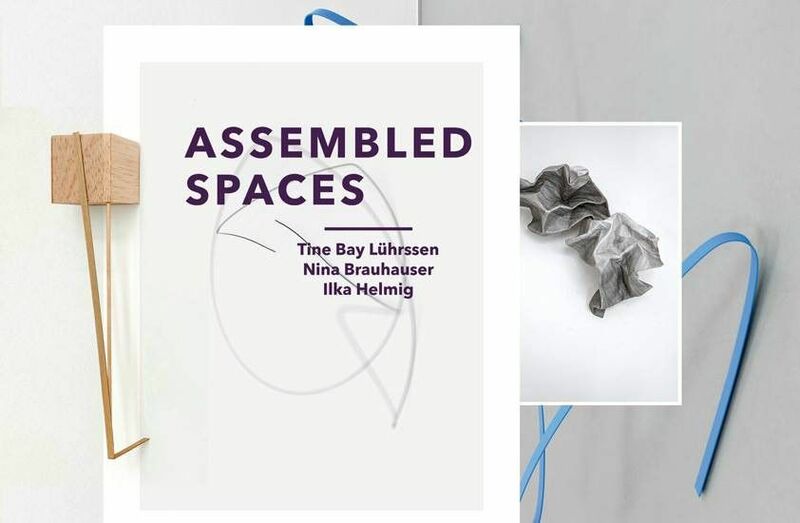 Within this new imaginary space are interventions of visual practice that question the ostensible "reality" of visual appearances, casting light upon almost unnoticed connections between the disciplines photography, drawing and installation.